Polaris Alpha has named Kenneth (Steve) Callicutt, former U.S. Strategic Command (USSTRATCOM) Director of Capability and Resource Integration, to the company's Board of Advisors. Mr. Callicutt recently retired after more than 39 years of service as an Air Force officer and member of the Senior Executive Service. He brings to Polaris Alpha a broad range of experience in Intelligence, Surveillance and Reconnaissance (ISR), mission planning and management, and weapons system development. During his tenure at USSTRATCOM, Mr. Callicutt was responsible for conducting force management and analysis to include integrating, and advocating future concepts, weapons system development, support for emerging technologies, and command and control architecture. USSTRATCOM is responsible for strategic deterrence, nuclear operations, space operations, joint electromagnetic spectrum operations, global strike, missile defense, and analysis and targeting. 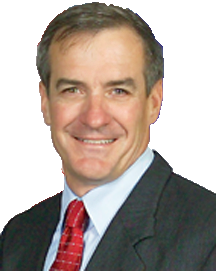 Prior to his time at USSTRATCOM, Mr. Callicutt served on active duty in the U.S. Air Force for 24 years. Previously he was Senior Technical Director, Air Force Command and Control, and Intelligence, Surveillance and Reconnaissance Center, Langley AFB, Virginia. The Polaris Alpha Advisory Board provides the company’s executive leadership with strategic guidance and advice as it serves its customers in the military and Intelligence Community. The company's Space Solutions efforts focuses on building the next-generation of analysis and decision-making tools through the application of Agile methodologies that rapidly delivers new capabilities that allow for the flexibility needed to re-prioritize features as requirements evolve. The company's enterprise solutions run the gamut — from immersive 3D visualizations to scalable, service-oriented architectures to help maintain space situational awareness (SSA) and support operational decision making.